How does multiple climate variables and consumer diversity loss together “filter” natural communities? As the oceans gradually become warmer and more acidified, an increasing number of studies test the effects of climate change on marine organisms. As most climate change experiments have studied effects of single climate variables on single species, more and more researchers ask themselves how this lack of realism affects our ability to accurately assess and predict effects of climate change (Wernberg et al. 2012). Interestingly, theory and a growing body of studies suggests that different climate variables can strongly interact (Kroeker et al. 2013), that climate effects can change with presence/absence of strong consumers (Alsterberg et al. 2013), and that effects on communities are more informative than those on single species, as they allow experimenters to assess what traits that makes organisms sensitive or resistant (Berg et al. 2010). In our new paper “Community-level effects of rapid experimental warming and consumer loss outweigh effects of rapid ocean acidification” we found that warming and simulated consumer loss in seagrass mesocosms both increased macrofauna diversity, largely by favoring epifaunal organisms with fast population growth and poor defenses against predators. These results corroborate theory, and exemplify how trait- and life-history based approaches can be used to in more detail understand – and potentially predict – effects of climate change. Meanwhile, simulated ocean acidification (pH 7.75 vs. 8.10) had no detectable short-term effects on any of the investigated variables, including organisms with calcium-carbonate shell. While this lack of effect may be partly explained by the short duration of our experiment and/or the relatively crude endpoints, seagrass-associated macrofauna routinely experience diurnal pH variability that exceed predicted changes in mean pH over the coming century (Saderne et al. 2013). Consequently, by living in a variable pH these organisms could be relatively resilient to ocean acidification (see e.g. Frieder et al. 2014). In summary, it seems that at least in the short term, rapid warming and changes in consumer populations are likely to have considerably stronger effects than ocean acidification on macrofauna communities in shallow vegetated ecosystems. Alsterberg, C., Eklöf, J. S., Gamfeldt, L., Havenhand, J. and Sundbäck, K. 2013. Consumers mediate the effects of experimental ocean acidification and warming on primary producers. – PNAS 110: 8603-8608. Berg, M. P., Kiers, E. T., Driessen, G., van der Heijden, M., Kooi, B. W., Kuenen, F., Liefting, M., Verhoef, H. A. and Ellers, J. 2010. Adapt or disperse: understanding species persistence in a changing world. – Global Change Biol 16: 587-598. Frieder, C. A., Gonzalez, J. P., Bockmon, E. E., Navarro, M. O. and Levin, L. A. 2014. Can variable pH and low oxygen moderate ocean acidification outcomes for mussel larvae? – 20: 754-764. Kroeker, K. J., Kordas, R. L., Crim, R., Hendriks, I. E., Ramajo, L., Singh, G. S., Duarte, C. M. and Gattuso, J.-P. 2013. Impacts of ocean acidification on marine organisms: quantifying sensitivities and interaction with warming. – Glob. Change Biol. 19: 1884-1896. Saderne, V., Fietzek, P. and Herman, P. M. J. 2013. 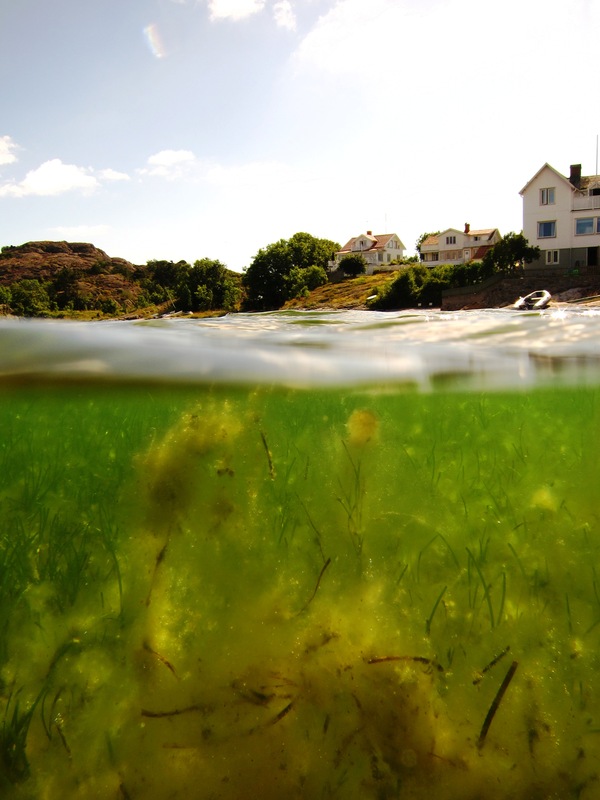 Extreme Variations of pCO2 and pH in a Macrophyte Meadow of the Baltic Sea in Summer: Evidence of the Effect of Photosynthesis and Local Upwelling. – PloS ONE 8: e62689. Wernberg, T., Smale, D. A. and Thomsen, M. S. 2012. 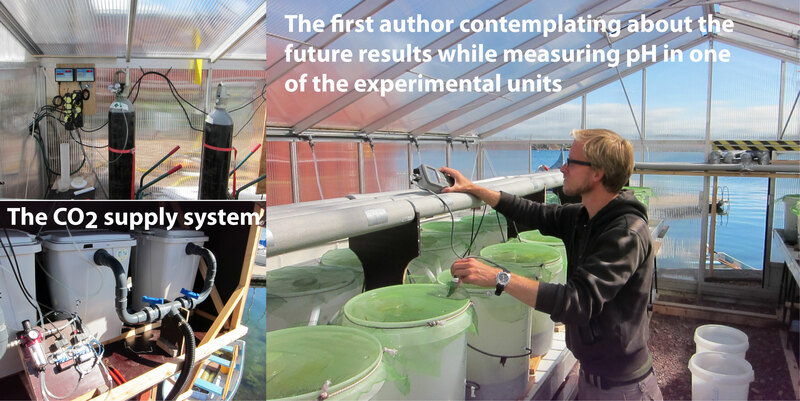 A decade of climate change experiments on marine organisms: procedures, patterns and problems. – Glob. Change Biol. 18: 1491-1498. « How does climate variables and diversity loss “filter” natural communities?